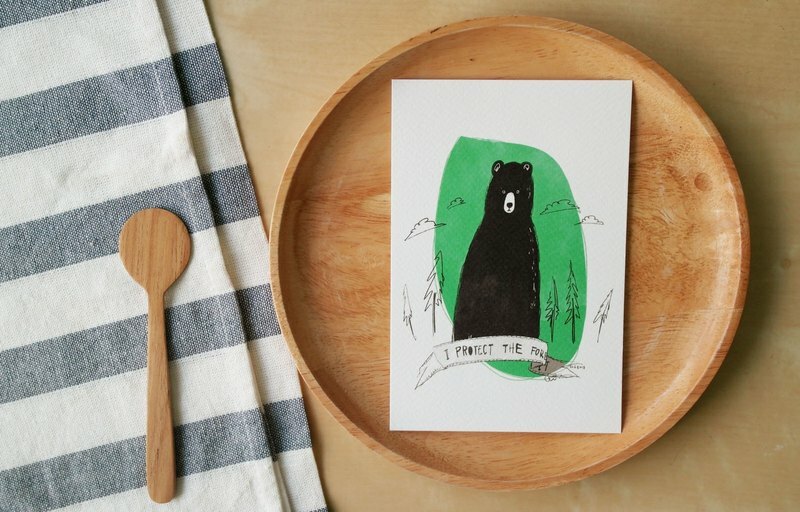 A bear "I protect the forest" illustration postcard 4"x6"
------------------------- I protect the forest ------------------------- I could not bear to see many tree cut down any more. The forest is my home, So I protect the forest. Illustration By Caliico. The Postcard measures 4" x 6" Digital print with Art card paper 300 gsm. One side print.